Finding a new job can be stressful especially if you have a stipulated period of time. In the market where there is no dearth of employees and employers but a greater dearth of good working force, you got to make your mark on your own. 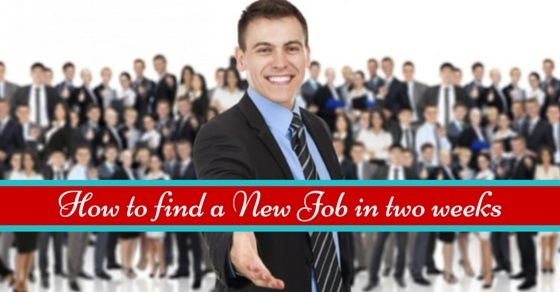 There are several ways that we have listed out in which one can find a new job right in two weeks. Here are some of the steps or ways that are mentioned below. How to Get a Job in Two Weeks? Cover letters are quite important from the employer’s point of view. This aspect is often overlooked by the candidate however, if a cover letter is well placed and properly written the chances of getting calls for the interviews are higher. A cover letter acts more like the key to your intellect or interest in the job that you have approached for. Thus always design a nice cover letter reflecting your real time interest in the job. Numerous candidates simply make a cover letter, send in the resume and wait for them to call back. However, you must show efforts from your side as well. You must persistently and politely ask them if they have considered you or not, if not then are there any chances of your resume getting reviews because you are still interested. This level of interest enables the recruiter to think twice about you. You should remain confident about yourself. Confidence adds spark to your personality and helps you in performing well in interviews. If you are not calm and positive about the opportunity, chances of everything getting spoil are more. That is why in order to maintain peace in your mind be confident about yourself and your dedication. Ensure that you have done your part of the research regarding the company. Try learning a little more about their company, be prepared to answer each and every asked question honestly, get your documents ready – all this has to be well prepared from your side if you want to avoid unnecessary hurry and nervousness. There are local agencies which take a minimal charge and notify you whenever they come across a job opportunity that suits your job profile. Sign up with these agencies temporarily so that you can at least get the alert in your mail box on daily basis. You must be humble and polite in your approach, do not turn out to be too arrogant or over confident on face or even while you send the cover letter. Yes, confidence is important but at the same time don’t overdo things so much that it becomes a reason to reject you. You might wonder that how does it matter whether your networks on different platforms are activated or not, whether your profile is updated or not, but these days social media serves as a parameter of checking the background of the candidate. This is why you must ensure that your social media profiles are presentable and have updated information uploaded. 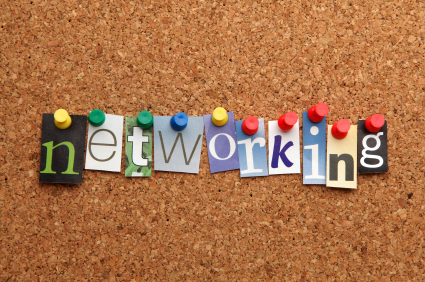 Whether you have a job or not, whether you are looking for one or not, never ever forget networking. If you are trying to find a job suitable to your preference then networking is something that you should just not stop doing. Socialize with people, activate your LinkedIn account, and attend functions and parties because you never know which opportunity would walk in front of you raising the toast. It is important for you to know your strengths and weaknesses which you failed to realize in your previous job. Try and introspect your skills, abilities and shortcomings. Talk to people, take their advices with respect to how can you increase your salability in the job market. This introspection has to be taken seriously by you and worked accordingly in the greater spirit. There is always a room for improvement isn’t it? And hence you must constantly read and review your resume. This will make sure that your resume is sharper, crispier and correctly tailored. A resume is like a weapon enabling you to stand out among the rest and thus you must pay complete attention to it. Communication forms integral strata of any profession and that is why regular polishing of communication skills can take you to a long way. Practice speaking and writing regularly. Also, you should work on your gestures, manners, tones, and pitches. Take and walk in for the interview for each and every call that you get, its okay if the job is not exactly how you wanted it to be but something is better than nothing and hence you must go for it. Moreover, aim at showing the recruiters that you are really excited for the job, your interest level should get reflected. Stay positive about the situations that you come across, be it favorable or unfavorable. Searching for the job and getting the most appropriate one requires dedication and devotion. You got to make sure that you are spending enough time in searching the job. Make it your full time job, go through advertisements that are printed and broadcasted, make networks, and keep an eye on social media as well. Do not remain bounded to only one way, have a multidimensional approach. Since you are running out of time, it is better to channelize your search at multiple levels, do not stick yourself to only one medium, use multilevel of approaches and searches. 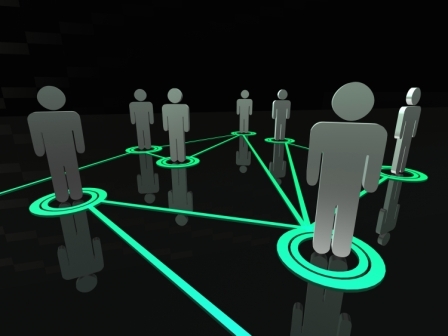 You can try connecting with new people at the same time keep an eye on print advertises in newspapers. This will certainly save your time and give you numerous options of jobs to choose from. If you have a feeling of working in a particular company but there are no advertisement about vacancy as such, do not worry walk in with your resume directly or at least contact them through phone. Some companies do not advertise even if there is a vacancy, they rely more on references and here you can have your chance of getting selected. Remember, keep no stone unturned. May be you are doing everything right, may be opportunities are standing at the door and calling you but you are not able to hear, thanks to your phone. Your each and every effort will be futile if you fail to connect with people who want to connect with you with the job offer in their hands. Make sure that you do not miss any of the call(s) or text messages, also keep an eye on your mailbox. Taking help from someone won’t make you small and hence do not hesitate to take help, after all networks are for what purpose? If you want to be placed in some company, and you have a contact over there talk to them, convey it to them. They might not help you directly but indirectly they help you by suggesting your names or letting you know when the vacancies are there. If you won’t make them aware of the fact that you are looking for a job you cannot expect them to help you either. Now your resume might serve one job profile but what if you are applying for another job profile? Here, you have to highlight the experiences and achievements that suits the requirement of the job and thus, have multiple versions of résumé is always advisable. Multiple version implies, where one resume will emphasis on one sphere of your experience suitable to a particular profile, the other version will be trimmed and renovated in such a way that it will suit the another job profile. If you remain negative and depressed you won’t be able to focus entirely on the job search. It is important for you to control yourself mentally keep yourself away from worrying more than necessary. Being depressed will bring down your morale and confidence on yourself and hence, stay positive avoid being depressed. This is a part of etiquette and manners that you are supposed to thank your recruiters after the interview. Sending an email or a hand written note is fine but you must not forget to thank them for their precious time that they spent interviewing you. Finding a job requires strategically planning of each and every step. One cannot simply sit and expect the opportunity to be served in a plate, he or she has to move out in world, meet people, make connections, stay updated in order to find a job that suit their skills and abilities. The job search demands a same level of dedication that the job itself asks for. Next articleHow to Gracefully Turn Down a Job Offer You’ve Accepted?